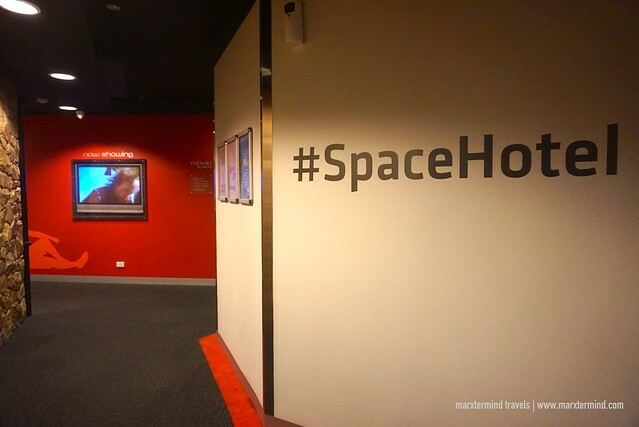 When I visited Melbourne for the third time, I chose Space Hotel Melbourne as my home base. A budget boutique hotel on Russell Street in the central business district, it offers modern rooms at affordable price. For a budget savvy traveler like me, this is the perfect place. 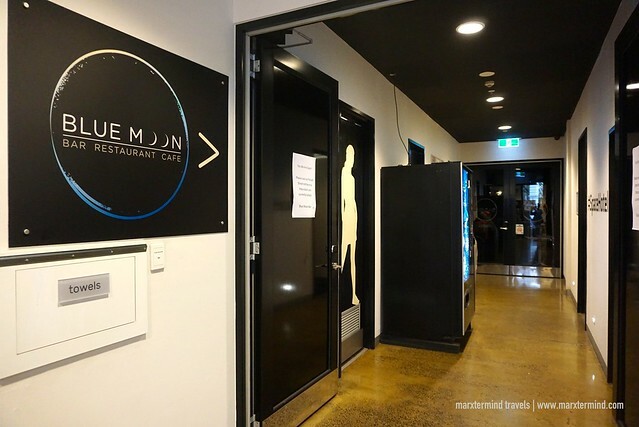 Together with my friend, I stayed here for three days and made this hotel as our base in exploring the city and rediscovering all that Melbourne has to offer. 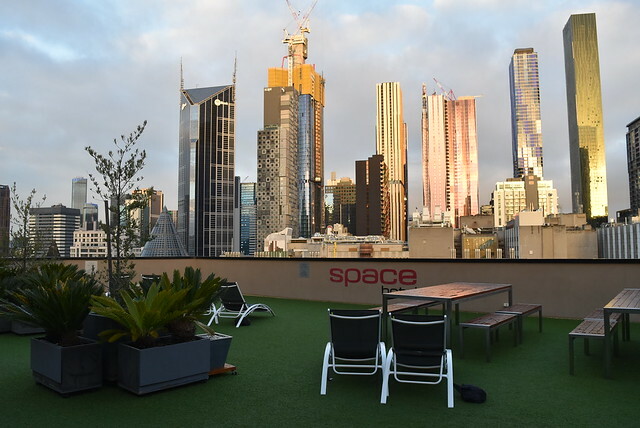 Space Hotel Melbourne is the ideal accommodation for backpackers, traveling as families, friends, or business travelers looking for a nice and simple hotel in an affordable rate. It has a range of room options for budgets both big and small. 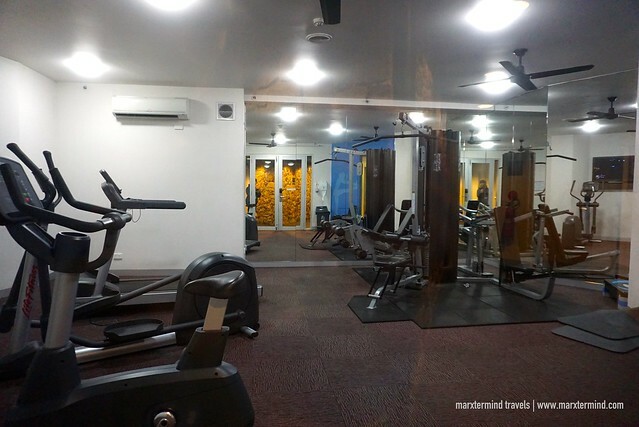 The hotel also has a convenient location making it for guests easy to get around the city. The hotel is close to several tourist spots, shopping malls and restaurants. It is also just a few walks away from the nearest tram station. The Melbourne Central Station is also just a 5-minute walk. With easy to find location, my friend and I didn’t have a hard time reaching Space Hotel Melbourne. It was past noontime when we arrived at the hotel. We went straight to the reception area and presented our passports for check in. When our room reservation was confirmed, the front desk staff handed to us our key card. Then, she mentioned about some house rules and facilities to find inside the hotel. Our room was on the second floor. We got a Private Twin Room, which I’ve found small but it was modern and very clean. It is air-conditioned and comes with heating facility. The room also features two high quality single beds, LCD TV, iPod docking station, wardrobe and study desk. Our room also has a window with a street view, which wasn’t the best but it was okay. The bed is my favorite part of the room, which was extremely comfortable. After days of not having enough sleep when we were in Sydney because of our jam-packed itinerary, I was finally able to have a longer sleep hours. 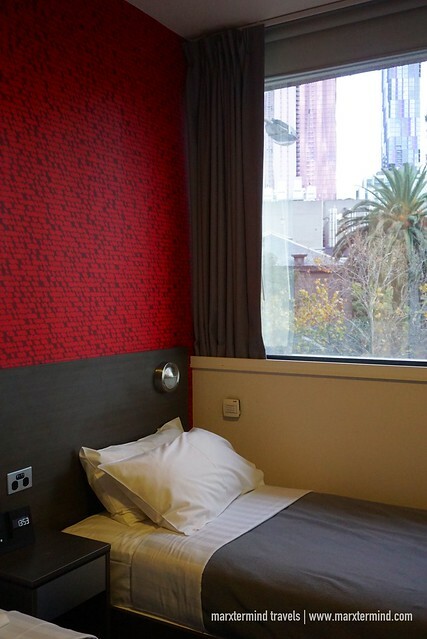 The pleasant and comfy room at Space Hotel Melbourne became an instant sanctuary for us. I was satisfied with the room and felt safe during our entire stay. What was only missing in our room is a toilet and bath. This facility is shared and located down the hall in each floor. But if you want a room with private bathroom, you may stay at the hotel’s Ensuite Rooms. For more budget accommodation, the hotel also has Dorm Rooms made up of 4, 6, and 8-beds. You may check the room rate and availability here. 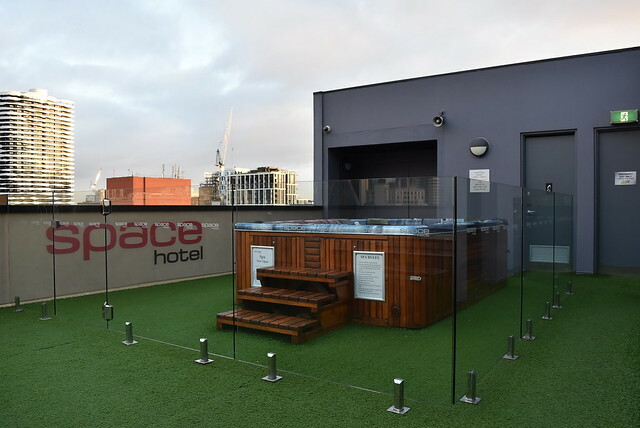 Aside from the modern and comfortable rooms that Space Hotel Melbourne has, the hotel also features a number of wonderful facilities for guests’ enjoyment and convenience. Located on the ground floor, the hotel has a front desk, travel desk and a reception area. There’s also a Blue Moon Bar, which is an upbeat backpackers bar where guests can have cocktails, cheap beer and spirits. The bar also hosts a range of nightly events like quiz nights, trivia competitions and karaoke. One thing that guests will be surprised about Space Hotel Melbourne is each level has a different theme. Ours was a Movie Space. There’s a movie lounge where guests can watch movies on the big screen. I got curious what the other levels of the building has, so I went to each floor and I found out about Fitness Space, Lounge Space, Barbeque Space and Space Deck. The Space Deck is my favorite. It’s located on the rooftop that offers beautiful views of the Melbourne city skyline. Here, there are sun lounges and a swim spa so guests can relax or chill out with friends. 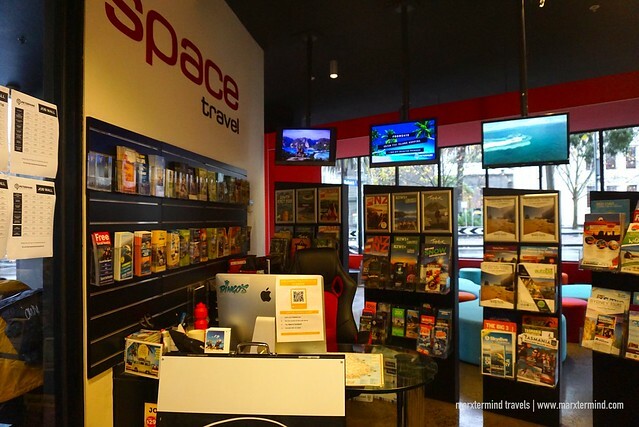 Other shared facilities of Space Hotel Melbourne include game room, bathrooms, showers, kitchen, laundry and Internet kiosk. The hotel also offers free seasonal shuttle to St. Kilda. There’s also complimentary Wi-Fi but is only limited to 300MB per day. If you want more, you can purchase or ask the reception area. 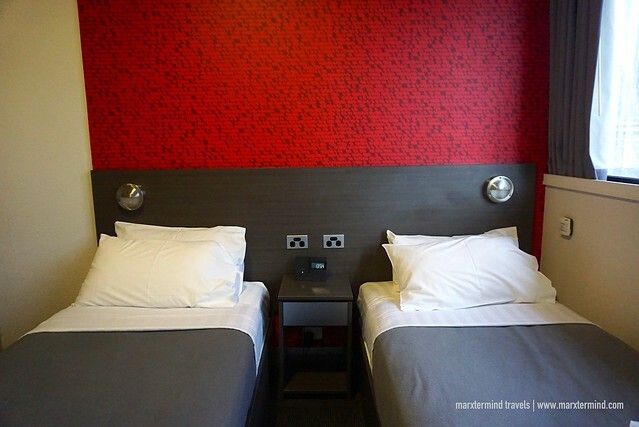 Clean and comfortable, Space Hotel Melbourne provided me and my friend a good place to stay. 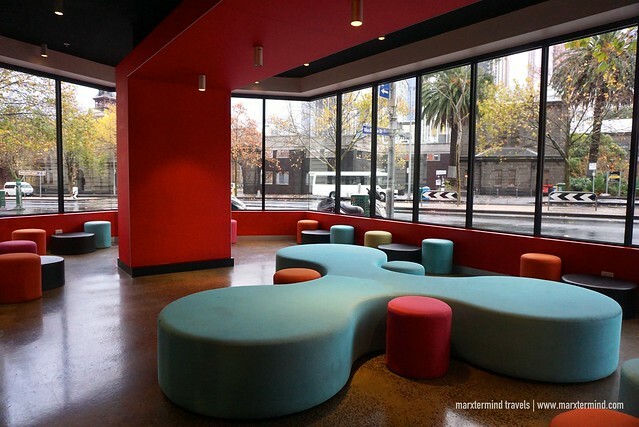 It’s a nice value hotel in Melbourne with modern facilities. The hotel also has a great location that makes it an ideal base to explore the city. 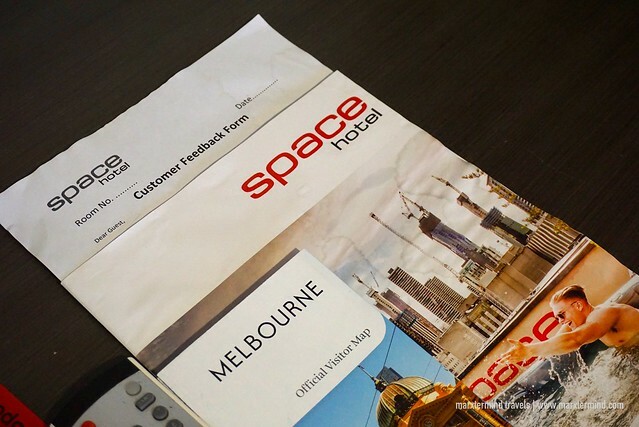 Overall, we had a pleasant stay at Space Hotel Melbourne making my third visit in the city enjoyable. 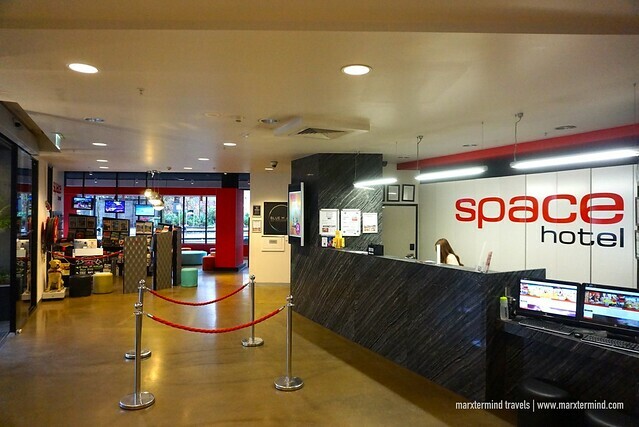 Space Hotel Melbourne is a merge between up-market backpacker accommodation and budget boutique hotel. 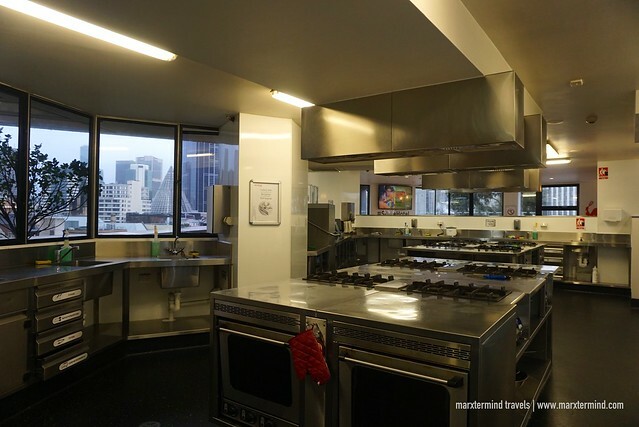 It offers modern accommodation in the heart of Melbourne Central Business District, with a choice of private or dormitory rooms.